Russian President Vladimir Putin and his anointed successor, Dmitri Medvedev, were in Bulgaria on Jan. 17. The point of the trip was to put the crowning touch on a Russian effort to hook Europe into Moscow's energy orbit. After a touch of bitter rhetoric about how Russia and Bulgaria were "doomed to be partners," Putin agreed to grant equal rights to the South Stream natural gas pipeline Moscow hopes to lay through Bulgaria. Yet the tension of the meeting and the concessions that Putin had to make simply to get permission are symptomatic of a broad unraveling of Russian foreign policy toward Europe. Russia often has had a love-hate relationship with Europe. Dating back to the time of the czars, Moscow has had to aim for a mix of economic integration and military intimidation to make its voice heard. In the aftermath of the Cold War and the degradation of the Red Army, the military intimidation factor has largely fallen away, leaving economics as the primary method of impacting Europe. In this, Russia has forces at its disposal every bit as useful as Soviet tank divisions. Cold War-era infrastructure provides the 27-member European Union with roughly one-quarter of the natural gas and oil it consumes. Such dependence might not be sufficient to force European deference, but it certainly guarantees that Europe will hear Russia out. Natural gas is unique among the various industrial and energy commodities. The combination of its gaseous nature and the sheer bulk that is required to power large economies (the European Union uses more than half a trillion cubic meters of the stuff a year) means that it can only be efficiently transported via pipeline. While oil and coal and alumina and wheat and platinum can all be loaded into trucks, rail cars and tankers-allowing any producer to supply any consumer-natural gas can travel only along existing pipeline networks. Canada therefore only supplies the United States and Russia only supplies former Soviet republics, Turkey and Europe. This contained relationship gives Russia leverage in a way that its mineral and oil wealth do not. And so it is here that the Europeans have tried-with some success-to slice through the ties that bind. Putin has sought to strengthen this energy leverage via two pipeline projects in particular. The two natural gas lines-Nord Stream, which would run under the Baltic Sea from St. Petersburg to Germany; and the aforementioned South Stream, which would run under the Black Sea from near Novorossiysk to Bulgaria-would increase the European dependency on Russian natural gas from 25 percent to 35 percent of its total consumption. Economically, neither of these projects makes sense. Building long underwater pipelines to Europe-a region with which the former Soviet Union shares a land connection-is simply asinine; landlines typically cost less than a third of their underwater equivalents. Additionally, Nord Stream would be the world's longest underwater natural gas pipeline and South Stream the deepest. But the Russians did not plan these projects with profitability in mind-having tripled their natural gas export prices since 2000, they have profit aplenty. Instead, they are thinking of the Americans. The Kremlin's Cold War mantra has long been that if the Europeans can be neutralized, then American influence can be purged from Europe. Ergo, American presidents dating back to Ronald Reagan have opposed (explicitly or not) any expansion of trade and energy links between Europe and Russia. And there also is the minor detail of Russia hating to involve transit states such as Belarus and Ukraine that are able to siphon off Russian energy en route to hard-currency-paying Europeans. Given the political nature of these projects, then, the numbers have always been a touch wacky. The Russians have underestimated the costs of both of the natural gas lines to a humorous degree (likely by a factor of four or more), they lack the technological ability to build the lines themselves and they have insisted that the Europeans foot the bills. Specifically they expect ENI to pay for South Stream, and BASF, Gasunie and E.On to cover Nord Stream. Topping it off, they expect themselves-not the countries on which the pipes will lie or the companies that finance and build them-to own the projects when they are completed. The Europeans certainly exchanged some worried looks when these projects were proposed and Russia started assembling consortia to work on them. But in January 2006 an event happened that galvanized European action to wean the Continent off of Russian energy. A natural gas pricing dispute with Ukraine resulted in a brief suspension of deliveries to Europe (Russian natural gas deliveries to Europe currently transit Ukraine and Belarus). Russia attempted to leverage this energy crisis to force the Europeans to back Russian policy in Ukraine. Specifically, Moscow wanted Europe to repudiate Ukraine's Orange Revolution against Russia's preferred Ukrainian government and recognize Russian suzerainty in the former Soviet Union. The strategy backfired and sparked intense interest across Europe in diversifying sources of petroleum and reducing total demand. European states and firms launched alternative supply lines, rafts of terminals were built to import natural gas shipped by tanker in more expensive liquefied form, a new fleet of nuclear reactors were commissioned, and the European Union adopted ambitious alternative energy and conservation programs (which incidentally dovetailed nicely with Europe's anti-greenhouse-gas plans). The formal European goal is now to reduce total energy consumption by 20 percent-with 20 percent of the remaining total coming from alternative sources-by 2020. The EU states are still squabbling over who needs to bear what specific burdens, but there is no disagreement as to the goal-or the reasons it exists in the first place. There are two questions remaining. First, how long will it be until the Russians realize that their energy tool is no longer sharp? The answer is, longer than you might think. The Russians have persevered in their pursuit of these projects despite increasingly obvious signs that the Europeans not only are not interested in the projects, they are not interested in the Russians. In part it is because, if Moscow's plan were realized, it would be a very good plan indeed, as it would harness Europe irrevocably to Russia. But mostly the lack of realization is because of Russia's historical blind spot. Russia's wide-open geography means that it has few barriers to invasion. Consequently, Russian history is one of occasional foreign occupation, which has resulted in a culture that mixes xenophobia, bitterness, persecution and a sense of entitlement in equal measure. This idea of "we have suffered so much so you should do what we say"-a sort of superiority complex based on an inferiority complex-clouds Russian strategic thinking and contributes to the seeming inability of the Kremlin to sense that the Chinese are stealing Central Asia from under the Russian nose. It also explains why the Russians have not realized that the Europeans are moving away from them in as expeditious manner as feasible. The European reactions to Russian entreaties on these natural gas projects can best be summated as humoring the Russians. Few states want an out-and-out breach in their relations with Moscow, which could result in an actual and immediate energy cutoff before the Europeans are prepared to sever economic ties. So they have been taking advantage of Russia's cultural blind spot while quietly developing alternatives. This is doubly true for firms such as E.On and Gasunie, which supposedly are involved in consortia to build the projects. All are key purchasers of Russian energy exports and have found it easier to feign support than to be bluntly honest and so risk losing reliable deliveries of Russia natural gas. The one possible exception might be ENI, which is desperate for any source of natural gas to maintain its market position in Italy. But even here, it is far from clear that a single firm-even one as large as ENI-can shoulder realistically the massive burden of financing and building a project as questionable as South Stream by itself. Years from now, Putin's Jan. 17 trip to Bulgaria will likely be seen as the turning point in the European-Russia power balance, because that is when the humoring broke down. As Putin was en route to Bulgaria, Sofia insisted that, should South Stream come about, it will be Sofia-not Moscow-that holds a majority share in the portion on Bulgarian territory. A compromise-a 50-50 ownership split-was ultimately struck, simply because there is little Moscow can do to punish Bulgaria without deeply damaging its own interests. Bulgaria does not border Russia (or any former Soviet republic) and since it is a transit state for Russian natural gas to third countries, it cannot simply be cut off. Bulgaria is hardly the bravest or most powerful of the EU states. It also is not among the crop that has done the most to diversify its energy consumption away from Russian sources. Consequently, it stands to reason that the nod-and-smile approach that has dominated European attitudes toward all things Russian is starting to crack. In the first 10 months of 2007 alone, total European demand for natural gas already dipped sharply, according to International Energy Agency data-reversing a 50-year upward trend. Add in increased alternative supplies that are not merely prospective (such as the Nord and South Streams), but actually under construction-within three years Europe will have established alternatives for at least two-thirds of the natural gas Russia currently supplies-and Russia's energy grip on Europe is slackening quickly. In short, Europe is reorienting its entire energy sector to eliminate the "Russian factor." This is allowing the Europeans to take a firmer line on Russia in other areas as well. For example, on Jan. 17 the European Union gave Ukraine the green light to join the World Trade Organization (WTO). Until recently the Europeans had expected Ukraine under a pro-Russian government to join the WTO at the same time as Russia, so the Europeans played softball with the Russians in accession negotiations. But now that a pro-Western coalition has returned to power in Kiev, and since a pro-Western Ukraine will have the ability to block Russian accession on its own, the Europeans sense an opportunity to pry Ukraine out of Russia's economic orbit and lash it into Europe's. Consequently European negotiators have switched to hardball tactics on economic issues ranging from timber to transport, pushing back-yet again-serious efforts to bring Russia itself into the WTO. Such isolation is far more damning than it sounds. According to the European Commission, if energy is shorn from Russian-European trade, then the new (much reduced) total value of that trade shrinks to an amount equal to that of the European Union's trade with Iceland, a country with fewer than half a million people. That brings us to the second question. What will the Russians do about it? For Russia, the challenge is not about the lost income-between rainy day funds and currency reserves, Moscow has socked away nearly $700 billion-but lost influence. Russia's other exports, primarily metals, minerals and weapons, still fetch a pretty penny and put Russian fingers in pots the world over, but none grant it influence where it truly matters: in Europe. Russia faces a near future in which the economic might of Europe will reinforce the geopolitical ambitions of the United States. Washington's desire to whittle Russia back to a more manageable size is nothing new, but few realize that Brussels has its own ambitions. The Europeans would like to expand their economic reach into the bulk of the territory between the EU border and Moscow, as well as into the Caucasus. Europe does not see this as an imperialist venture, but simply as the natural order of things. The Russians, of course, see the world through a different lens, and European plans would be even more damaging in the long run to Russian interests than will American efforts, as they would make these border territories not only politically unreliable, but rather like the Baltics: firmly integrated into a rival system. Military intimidation of the Baltics and Finland. Reunion with Belarus and a return of the Red Army to the Polish border. Overt intervention in the Russian-speaking portions of Ukraine. Active and public participation in Georgia's secessionist conflicts, both to block European influence and to disrupt some of those alternate energy supplies. Support for Europe's various secessionist regions. None of these options is clean and easy, and all are laden with consequences. Two of those consequences are critical enough to warrant mention here. First, any action from this list would rejuvenate NATO to the point that a Western military response, likely resulting in a new containment strategy, would be a foregone conclusion. Second, a renewed Russian confrontation with the West would certainly provide ample opportunity for China to make inroads into Central Asia and the Russian Far East, a region where Russia's own intelligence services warn that Chinese squatters already might constitute the majority of the population. Yet with Russia's economic toolkit impotent, such options are all that remain before the Kremlin. Russia's best hope is to recognize, before it is too late, that the tide is irrevocably turning. But Moscow faces one other complication in wrestling with the changing geopolitical reality-one that could critically delay an adjustment in strategies: itself. Though Putin is undoubtedly the man in charge, he is not the only one with ambition. His inner circle is split roughly in half by a clan war between Vladislav Surkov and Sergei Ivanov. Both are loyal to Putin, but their battles have absorbed the majority of the state's ability to deal with any issue. While the two overlords clash, the Europeans make ever-greater strides toward freeing themselves from dependence on Russian energy, steadily closing the window of opportunity for the Russians to adjust. And when that window closes, Russia will face a world in which the United States no longer is consumed with all things Middle Eastern and the Europeans no longer are afraid of all things Russian. Stratfor is a private intelligence company delivering in-depth analysis, assessments and forecasts on global geopolitical, economic, security and public policy issues. A variety of subscription-based access, free intelligence reports and confidential consulting are available for individuals and corporations. 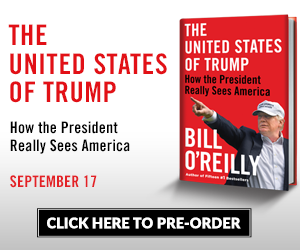 Click here to take advantage of 50% OFF regular subscription rates - offered exclusively for BillOReilly.com readers.